Makeup removal should be effective, yet simple. I need something quick & easy at the end of the day. It's my time to unwind & anything that's more than one step is too time-consuming. Couple of months ago, I discovered the Biotique Botanicals Bio Pineapple Oil Control Foaming Face Cleanser that claimed to remove makeup too. I tried it out and here's what I think about it. 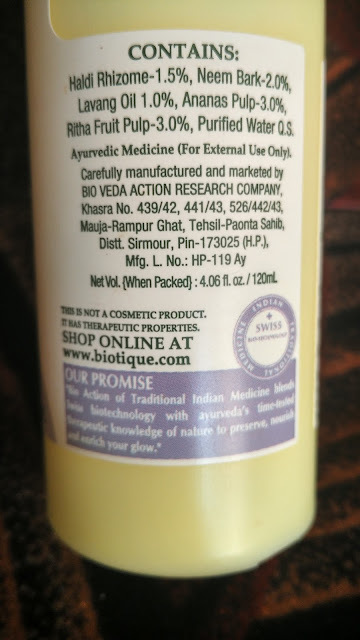 Claims - 100% soap free cleanser dissovles makeup, purges pores & purifies complexion. 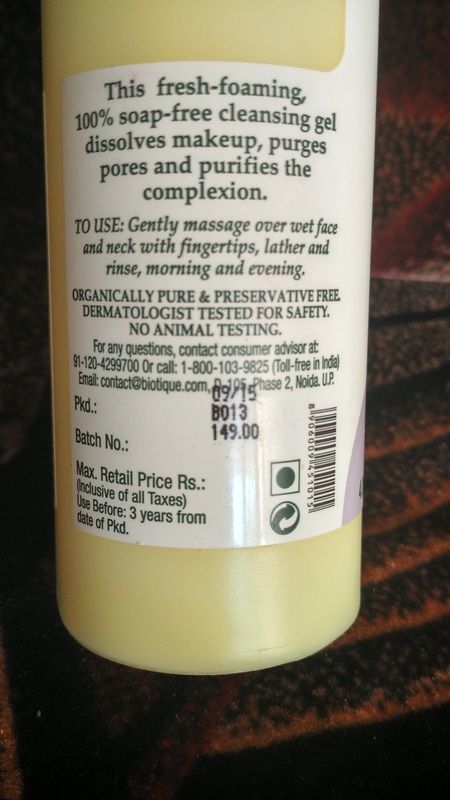 Organically Pure & Preservative Free, Dermatalogically tested for safety & No Animal Testing. 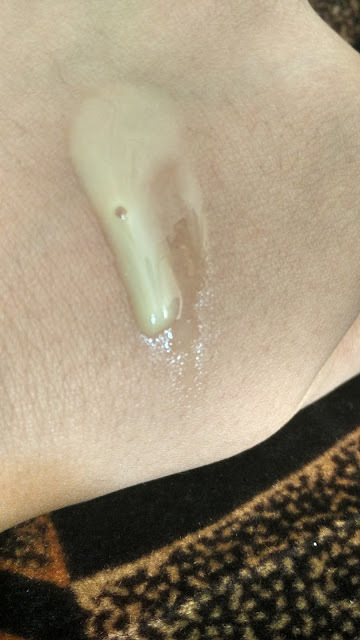 Texture - Just like a normal face cleanser, this product is quite milky and runny in texture. My experience with the product - I really like this face cleanser. It's a saviour, especially on late nights when you just want a one-step cleansing system. I take some product in my palms and rub them together. I apply this directly to my face (without splashing water on it, although the packaging says 'apply on wet face'). After massaging it on my face, I take some water and apply it to my face so that I dilute the product a little & it can be easily spread over. At this point of time, I see most of my foundation or BB cream, the eye shadows, lipstick, etc breaking down and coming off. After massaging the face for about a minute or so, I rinse the cleanser off. My face feels fresh & squeaky clean but not dry. I prefer using a moisturizer post a wash, but I don't need to hurry up since the cleanser leaves my face soft & moisturized. If I have to name a drawback, then I'd say that with this cleanser you'd find it slightly difficult to remove water-proof mascara. I have tried doing so while reviewing the product and while I could remove it eventually, it takes some time. I wear mascara very rarely & so on a daily basis, its nice & easy for me to use this product without any worries. If you tend to wear mascara, you might need to use a proper makeup remover like the Maybelline Total Clean (another favourite! ), which breaks down even the toughest of mascaras. 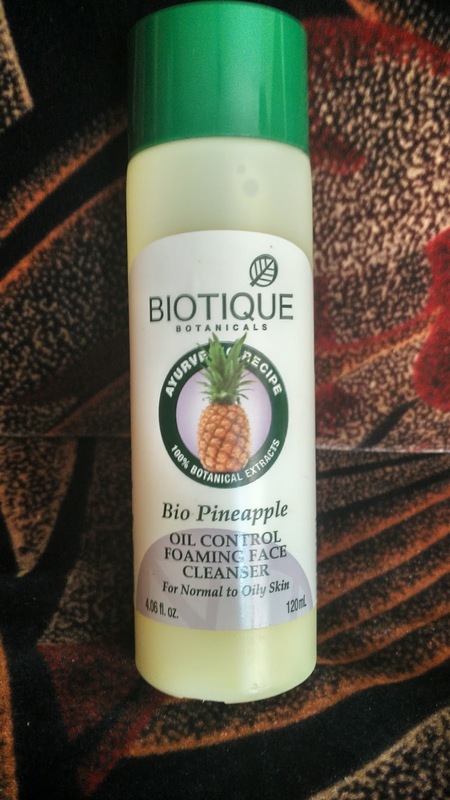 Skin Types - If you have Normal to Oily skin, do give this a try...especially in the summers, you'll surely love it! For Dry skinned beauties, this might not be the ideal product for you. If you do wish to try it out, I'd suggest using a moisturizer after this as your skin may feel parched. Do give it a go & let me know your thoughts. Hope you liked this post. Leave me a comment to tell me how you remove your makeup & if you have any favourite makeup remover.